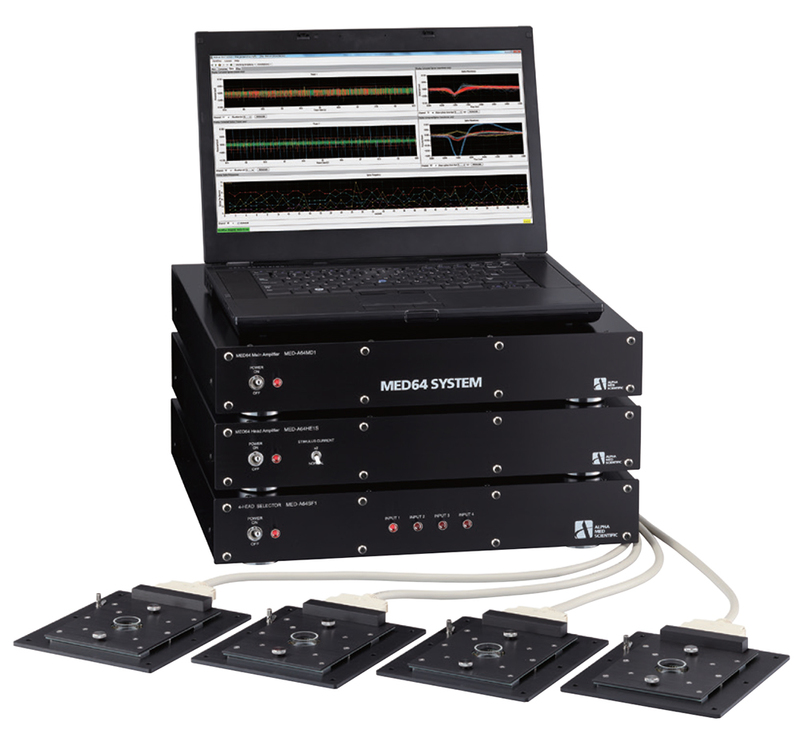 MED64-Plex 4/8 System is a medium throughput MEA system allowing recording at all 64 electrodes from 4 or 8 samples. The MED64’s high fidelity will provide more accurate and reliable data allowing advanced screening. 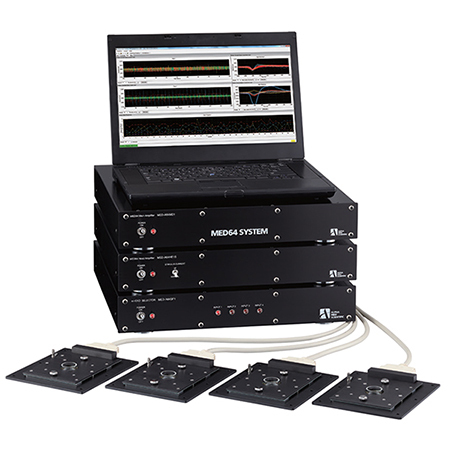 Acquire extracellular signals from 4 or 8 samples (64 electrodes per sample). Stimulation through 1 or to 2 electrodes per sample sequentially. Unrivaled signal-to-noise ratio of 0.8 μV RMS noise level. Large current-driven stimulation via any electrode. Recording inside of a humidified incubator. One system can be used for multiple experiments with its amplifier’s broad acquisition bandwidth and analog lowpass/highpass filter. Analyze data online during your experiment or offline after. Suitable for acute slices, slice cultures, and cell cultures. Low-cost upgrade from MED64-Basic/QuadII/Allegro System.